This is my absolute favorite brownie recipe. They are rich, fudgy in the middle, and made completely from scratch. These brownies are so much better than the box, and I bet you have what you need to make them already sitting in your kitchen. Jump to the Easy Fudgy Brownies Recipe or watch our quick recipe video showing you how easy it is to make them. I know that saying these are the “best brownies, ever” is a bold statement, but we truly believe it. I love brownies that are rich and extra chocolaty. These brownies with dense, fudgy middles and crinkly tops absolutely deliver! 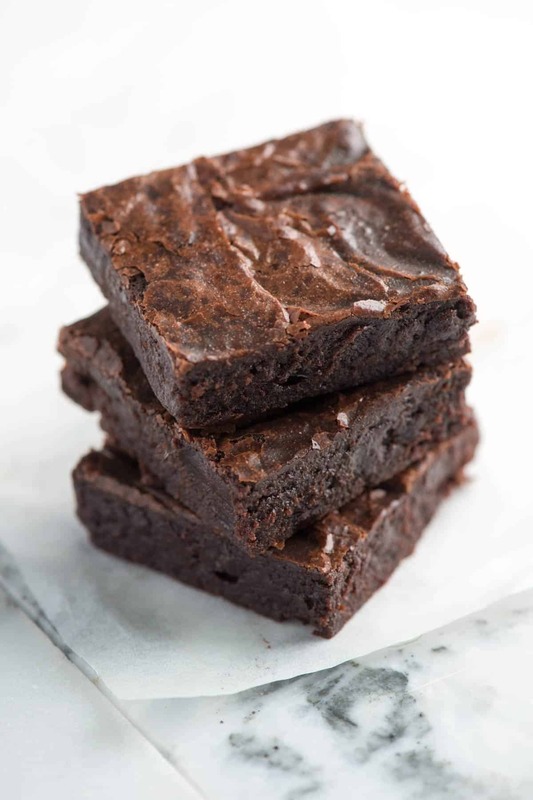 These are perfect for boxed brownie lovers — the dense, moist, and fudgy texture is not all that different from what you can expect from the boxed mixes. It get’s better, though. These brownies are much more flavorful than anything made from a box. They taste amazing. They only require one-bowl and come together in minutes. There’s also a good chance you already have the ingredients on hand. Let me walk you through the steps for making them. Butter adds so much more flavor than oil ever could. We use 100% butter in the recipe and don’t feel the need to add oil. Sugar balances the bitterness of unsweetened cocoa powder and adds to the brownies texture. It makes the centers soft and the tops crinkly. Cocoa powder adds our chocolate element and makes these taste rich. I’ve used a variety of cocoa powders. You can use natural cocoa powder, Dutch processed cocoa powder, or raw cacao powder to make these. Use what you love, but I love the flavor of Droste Cacao (a Dutch cocoa powder) in these brownies. 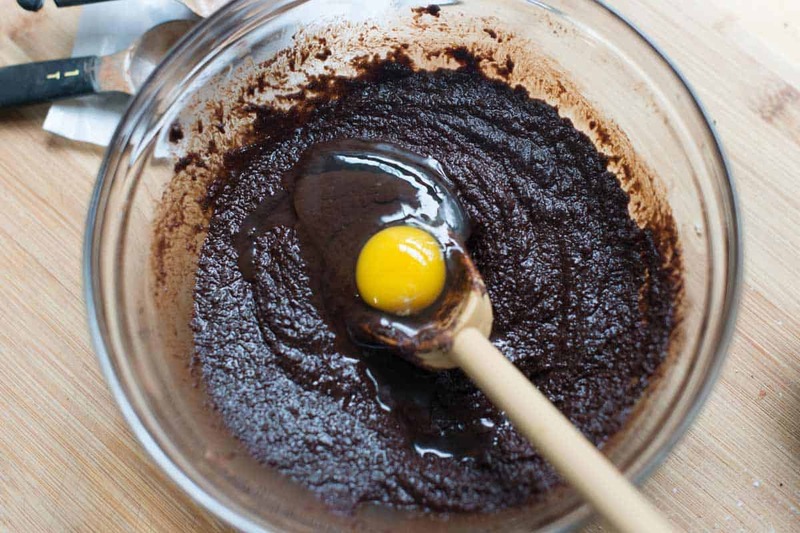 Eggs add richness and provide structure to the brownies. Salt and vanilla help to round out the flavor of the brownies. Salt in baking might seem odd, but just like in savory cooking, it awakens the flavors of the recipe. All-purpose flour is the last ingredient you need, but you don’t need much. 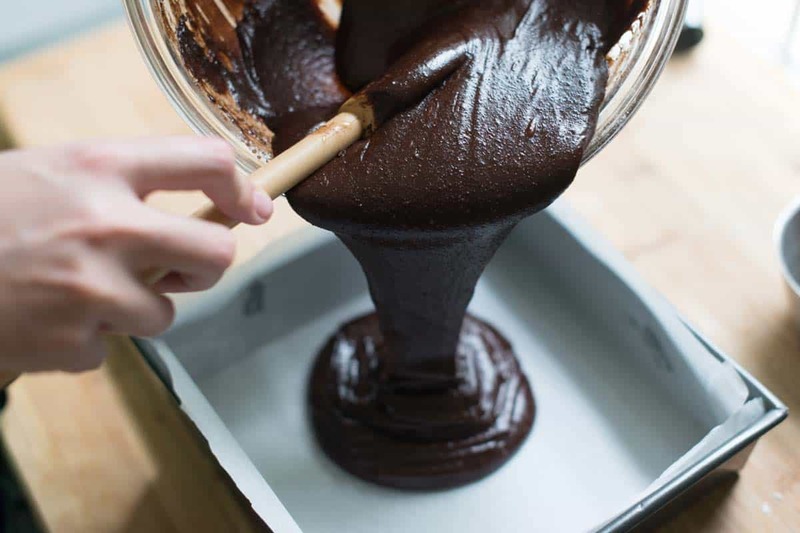 Remember, we’re on the hunt for extra fudgy brownies and keeping the flour to a minimum helps with that. Cakier brownie recipes will call for more flour. While we have not tried this ourselves, if you read through the comments below, there are quite a few people who have had success using a gluten-free flour blend (like the Bob’s Red Mill blend). Why Don’t You Add Chocolate? The recipe is slightly adapted from Alice Medrich’s Cocoa Brownies found in many of her cookbooks. Medrich is a genius when it comes to chocolate. Search on Google and you’ll see that some brownie recipes call for chocolate that’s melted into butter, then mixed with sugar, eggs, and flour. This recipe is different — and smart. Instead of using chocolate, Medrich calls for cocoa powder. In removing the chocolate (as well as the fat and sugar that goes along with it), she was able to fine-tune the brownies so that the middles were softer and moist and the tops were shiny and candy-like. The recipe is pure gold. Since we’re using cocoa powder, they aren’t overly sweet. If you are like us and find yourself reaching for dark chocolate over milk, these are most certainly for you. If you want to add chopped chocolate or chocolate chips, you can. These are your brownies, after all! We recommend stirring a handful of chocolate into the batter before pouring into the baking pan or scattering chocolate on top of the batter in the pan. Step 1, Melt the butter with sugar, salt, and cocoa powder. Here’s where the saucepan comes into play. I make something called a double boiler, which is a fancy term for a small saucepan filled with an inch or two of water set over low heat. I place a bowl with the butter, sugar, and cocoa powder over the saucepan and watch as the they melt into a gritty looking mixture. This process helps to create that crinkly top we all love. It’s the sugar being heated that helps the sugar migrate to the top of the brownies when they are baking in the oven. You can complete this process in the microwave (many of our readers have). I do prefer the stovetop method since I know it helps to achieve that beautiful crackly top. Melting the butter with sugar, cocoa powder, and salt. Step 2, Add the vanilla and eggs. We use two eggs to make the brownies, but I add them one at a time. I add the first egg and mix it into the butter, sugar, and cocoa powder. When it’s mixed in, I repeat with the second egg. After adding the eggs, the batter will transform from a gritty batter to one that looks like shiny pudding. Step 3, Add the flour. After mixing the flour into the batter, I beat the batter with a spoon for 40 to 50 strokes. The batter will be thick. This extra beating makes sure that the butter is emulsified into the batter, which makes sure the brownies bake perfectly in the oven. I usually tell you to be careful not to over mix batters on this blog, but that’s not the case with these simple brownies. 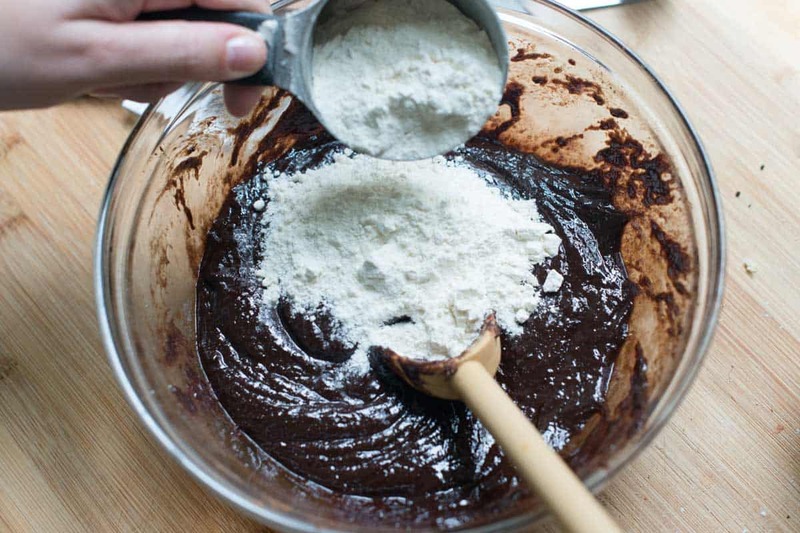 You only need 1/2 cup of flour for these extra fudgy brownies. Step 4, Bake them. The brownies bake in the oven for 20 to 25 minutes. I’ve dedicated a whole section below telling you how I tell when brownies are ready to be pulled out of the oven, because nobody wants an overbaked brownie, right? We bake the brownies in a 8-inch square pan. We bake the brownies in an 8-inch square pan. Since posting the recipe, quite a few readers have asked if it would be okay to use a larger pan. You can, but you will need to double the recipe. If you double the recipe, a 9-inch by 13-inch rectangular pan is perfect and the brownies will be slightly thicker. It is best to use light colored or shiny metal baking pans since they cook more evenly. Dark pans can cause the bottoms of the brownies to cook more quickly. If a dark pan is all you have, reduce the oven temperature by 25 degrees F and keep an eye on the brownies as they bake. Telling when brownies are ready to come out of the oven can be a little tricky, but don’t worry, with my tips you’ll be a brownie pro in no time! My first tip is to use a timer. I’m terrible at getting distracted. Without a timer cueing me to check on the brownies, I’m destined for overbaked brownies! They should take 20 to 25 minutes, so to be safe, set the timer for 18 minutes. This way, you can keep a close eye on them towards the end of cooking. Use a toothpick. Stick it into the center of the pan, and pull it out. If there is wet batter on the toothpick, they need more time. If there are moist crumbs on the toothpick, they are done, and if there’s nothing on the toothpick, you might have overbaked them so definitely take them out of the oven. Use your eyes. Perfectly baked brownies will look a little underbaked in the middle. (Sounds kind of strange, right). You see, as the brownies cool, they continue to cook. So when the edges look dry and the middle looks slightly underdone, take them out of the oven. Even if it ends up that you took them out a minute early, an underbaked square in the middle of the pan is much better than the whole pan being overbaked. Plus, if I were at your house, I’d happily eat the underbaked middle. Why did my brownies take longer to bake? 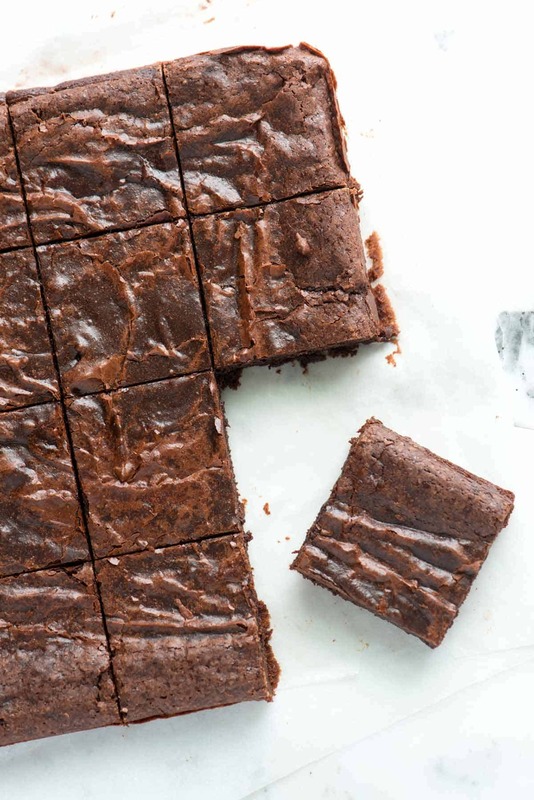 After sharing this brownie recipe years ago, some readers have found that they needed to bake their batch for 5 to 10 minutes more than we suggest in the recipe. These take 20 to 22 minutes in our oven, but ovens do vary, which is why having visual cues for telling when something is done is so important. If you find that your brownies need extra time, I’d check the oven temperature. Some in-home ovens are uncalibrated, so while you think you’ve set the temperature properly, the oven can be off by 25 degrees! Don’t worry though, a simple oven thermometer set on a rack inside your oven can tell you the real truth. All kitchen stores sell them, I think ours was about $10. If you don’t believe that our recipe helps you achieve the best brownies from scratch, take a look at what our readers are saying about the recipe! More reviews are in the comments section below. If you love nuts, try these Rich and Fudgy Salted Almond Brownies. These Andes Mint Chocolate Cookies could also be called brownie batter cookies. They are so good! Think of this Blondies Recipe as brownie’s alter-ego. Instead of a chocolate batter, it is vanilla. Our favortie brownies recipe from scratch. You only need one bowl, a saucepan, and a spoon. In the first step, we ask that you melt the butter with sugar, cocoa powder, and salt in a bowl set over a saucepan of simmering water. This process ensures that crinkly top that we all love. You can do this step in the microwave, but I do find the stovetop method to be more consistent. These brownies aren’t too sweet. If you are like us and find yourself reaching for darker chocolate over milk chocolate, these are most certainly for you. Use natural or Dutch process cocoa powder for these (cacao powder works, too). I especially love using Droste Cacao (a Dutch process powder). 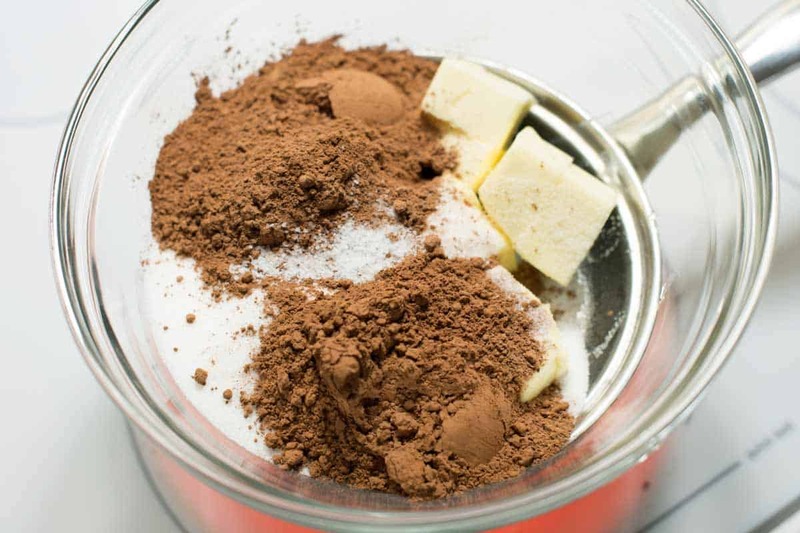 Combine butter, sugar, cocoa powder, and the salt in a medium heat-safe bowl. Rest the bowl over simmering water (if the bottom of the bowl touches the water, remove a little water). Stir mixture occasionally until the butter has melted and the mixture is quite warm. Don’t worry if it looks gritty; it will become smooth once you add the eggs and flour. Remove the bowl from heat and set aside for 3 to 5 minutes until it is only warm, not hot. Stir in the vanilla with a spoon. Then add the eggs, one at a time, stirring vigorously after each one. When the batter looks thick, shiny and well blended, add the flour and stir until fully incorporated, then beat with the wooden spoon or spatula for 40 to 50 strokes. (The batter will be thick). Beat vigorously here. You want to see the brownie batter pulling away from the sides of the bowl (if you do not have the strength to do this by hand, use a hand mixer). 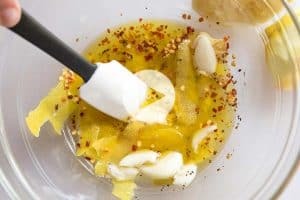 Stir in nuts, if using. Spread evenly in lined pan. Bake the brownies for 20 to 25 minutes or until a toothpick can be inserted into the center and come out with a few moist crumbs. As a visual test, brownies are done when the edges will look dry and the middle still looks slightly underbaked. Some readers have found they need to bake an extra 5 to 10 minutes. Brownies are easy to overbake so keep an eye on the doneness of the brownies and use the visual and toothpick test as your guide. These are on the bittersweet side – we like that, but if you are more into milk chocolate than semi-sweet or dark, these may be a little bitter for you. Some readers have had success with adding a bit more sugar to accommodate. This recipe is slightly adapted from Alice Medrich’s Cocoa Brownies found in many of her cookbooks. Here’s one of them: “Sinfully Easy Delicious Desserts” If you love dessert as much as we do, buy it. You won’t regret it. Some readers have had problems with the fat separating during baking. Since the recipe calls for so much butter and so little flour, it is vital that the batter is beaten vigorously enough so that it emulsifies. Otherwise, you risk the fat seeping out when baking in the oven. Just after adding the flour, you should be beating for about 40 strokes until the batter becomes very thick and begins to pull away from the sides of the bowl. Wow these are amazing! I was worried while they were baking because they smelled so bitter, if that makes sense, but when they came out, they were perfect. Sharing with my entire family! These were fabulous! Brownies are my favorite and I’ve tried a lot of recipes but these were the best! The best brownies I have ever had in my life. They did need 10 extra minutes to bake. I topped them with Andes peppermint baking chips. I did not use walnuts, yet. It’s very rare for me to comment… but these brownies warrant it. They are FANTASTIC!! I have never made nicer brownies, and they are so quick and easy to make with a small number of ingredients. 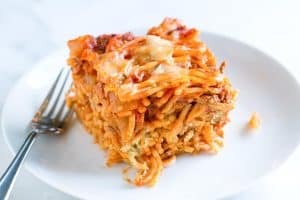 My new favorite recipe for sure!! BTW, for any non-Americans; 170°C is perfect! 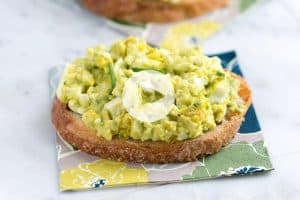 These are amazing and so easy. I’ve tried several brownie recipes and learned to avoid the ones with too many eggs or too much flour (they’re just cake!) and found endlessly complicated ones that put me off. I’ve made three batches of these in 5 days! SO GOOD!! Chocolate yummy chewy brownies. And so easy to make with things I always keep in the pantry. Will make again for sure! Hands down, best brownie recipe ever! Best brownie recipe ever! Made this one twice now. I recently tried a similar fudgy recipe and this one is the best one, I followed the recipe exactly and baked brownies 22 minutes. These brownies were the best. My new favorite recipe. They came out perfectly moist and delicious. I ended having to bake them for 33 mins and I added mint candies to the batter. Once they were done, I let them cool for a bit, then made brownie sundaes with dove mint choco chip ice cream. 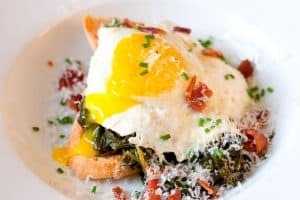 I’ll be adding this to my recipe box for sure! Also, much better than my other similar recipe because this one uses only 1 bowl! LOVE! I followed this recipe to a T and it came out delicious and fabulous! Made those brownies as a present for a work colleague’s child’s birthday. Thank you so much! They took 35ish minutes to cook, and literally started frothing and bubbling in the oven (probs got something to do with the fact that i added chopped chocolate), but they’re just as extra rich and fudgy and gooey as the recipe stated! The top was crispy (and for some reason had granules of sugar sprinkled all over it), but I didn’t get any shiny crackly top 🙁 I’ll be making this again for sure, but next time without chocolate chunks! Brownie recipes are so hit and miss, and this one was a hit! I added Macadamia nuts and substituted about 2/3 coconut sugar as I ran out of ordinary sugar. This will be my new go-to brownie recipe for sure. It’s a big call but these really are better than the box. I made them in a cupcake tin and used my flavor injector to fill with a but of fudge. Served warm with ice cream! These brownies are really good, not too sweet, nice and moist…just perfect! Hi, I’ve been making these brownies for the last few years and they always turned out amazing! Except the last two times I made them 🙁 they’re still good, but the texture is off. They turned out just very dense and not fudgy and no crinkly tops. Am I under cooking? The batch I cooked a little longer tasted a bit dry so not sure what has been happening. I’ve also been using the same oven. Any ideas? Advice would be very appreciated! Hi Ash, The crinkly top comes from a few things. First, it’s the melting the butter and sugar together until pretty warm that helps the sugar rise up while baking and make the crackly top. Another important step in the texture/top of the brownies is the beating of the flour at the end. Make sure you do the 40ish stokes of beating the flour into the batter. It really does make a difference. Finally, overbaking is easy to do when baking brownies. Since your batch was dry, I’d wager they were slightly overbaked. Brownies continue to cook out of the oven (even when they are cooling). Try taking them out just a little earlier (even if you’re hesitant that they aren’t 100% done). Then wait until they are completely cool and see if that makes a difference.